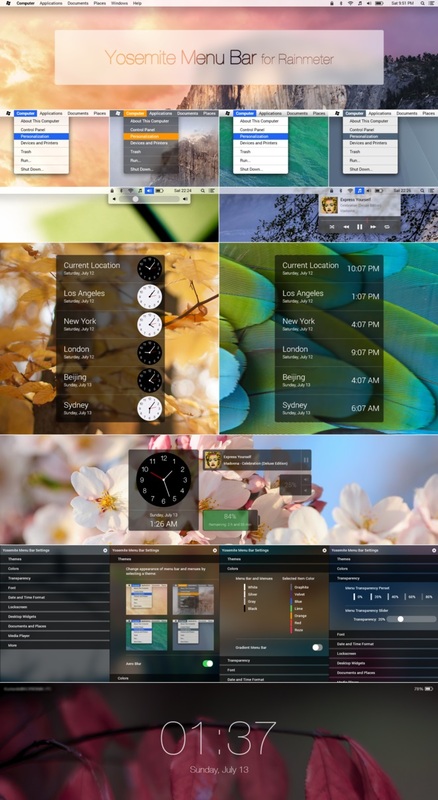 Skin for Rainmeter which is created not only in the form of a and similar in functionality to the taskbar in OS X Yosemite. This panel has all the necessary functions for the user, launcher, start menu, player control, clock and others. In general it can even become an alternative to the standard Windows taskbar. Configurable very simply with the help of a special configurator, it can choose one of four style options, a family of fonts, colors, and so on. In addition to the panel itself, there are several more widgets and a screen lock function.